Once you have been convicted of a crime then you may learn that finding employment is not easy. This is true even if your offense was a misdemeanor. More and more employers are using background check companies as a tool to make hiring decisions. 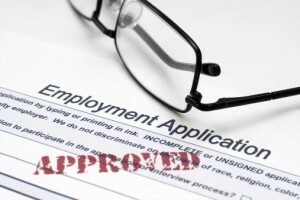 These employers often reject an applicant if their record does not come back clean. This can be frustrating for a person who has served their time and wishes to move on with their life and be a productive member of society. Bretton Barber is a Phoenix area attorney who can assist those convicted of felony and misdemeanor crimes find work through the setting aside, or expungement, of their criminal record. While this will not completely erase one’s history, it will let future employers know that you have completed all requirements of your sentence and the Arizona charges against you have been dismissed. There are more than 400 different background check companies that can be used in the state of Arizona for employment purposes. While most people assume that all background checks will uncover the same information, there is significant variation regarding what types of offenses will show up and when. Some background checks will only go back ten years, others will go back farther. If you are applying for a job and know a background check is part of the process then there is always a chance that your criminal conviction will be uncovered, no matter how many years it has been since your conviction. If you have been convicted of a crime and completed a jail or prison sentence for any length of time, you already must contend with a gap in your employment history. Adding the stigma of a criminal record to that challenge is unfair. Contact our office today for more information about how petitioning for a set aside can improve your employment search. In addition to Phoenix, our attorney represents defendants in other Maricopa County cities such as Mesa, Glendale, Scottsdale, Chandler, and Gilbert. We also assist Pima County residents in Tucson in addition to those throughout the state.